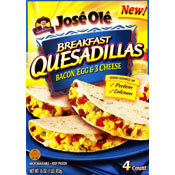 And the award for the Most Deceptive Packaging of a Breakfast Product for 2009 goes to... Jose Ole Breakfast Quesadillas. The box is enticing. Delicately scrambled eggs, colorful peppers and perfectly browned bacon pieces are joined together by the smooth flow of three distinct cheeses. The fillings are so abundant they seem to burst from the tortilla. In reality, the filling is a block of homogeneous ingredients whose texture resembles mashed potatoes or Pennsylvania scrapple more than any quesadilla I've ever encountered. They don't burst from the tortilla. They are hidden within... shrouded by the tortilla. That being said, Jose Ole Breakfast Quesadillas taste alright. If you crave a Mexican-style breakfast, this product has the ability to satisfy... the same way a $.49 cent frozen burrito can satisfy, but not necessarily please, your senses. They're mildly spicy and, while your taste buds might not be able to identify the individual ingredients, they will conclude that it's a Mexican-style food product. On the plus side, this product is an easy way to get 43% of your daily requirement of cholesterol and 20% of your saturated fat needs. That's a joke. 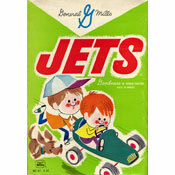 I didn't like this product and I don't recommend it. 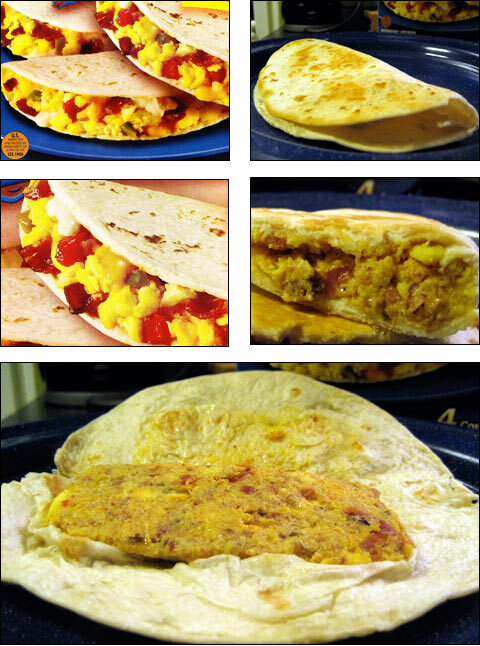 What do you think of Jose Ole Breakfast Quesadillas?